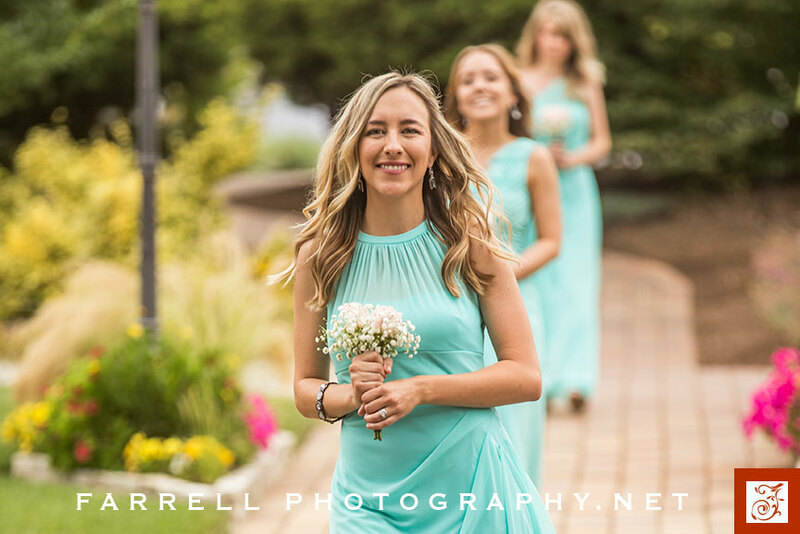 1 When your wedding party is walking down the aisle, are they happy or are they looking serious? 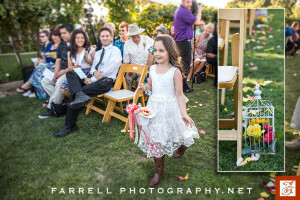 At Farrell Photography, we always coach them right before they walk, to SMILE! 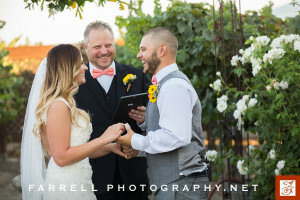 This simple suggestion makes a HUGE difference in the wedding ceremony photos. And, we also remind them that they are in the pictures throughout the ceremony. This helps them to remember to look happy and engaged in the whole process. 3 When the ceremony is being conducted, you may want to face the officiant. But, WAIT! The photos will look soooo much better if you face each other instead. And, your guests will be able to see you too. 4 Sun is not your friend. If at all possible, find a way to stand in the shade during your ceremony. The worst possible setting for photography is part sun and part shade on your face and body. The best plan to look your BEST is all shade for the whole party. If you can’t manage that, go for full sun. 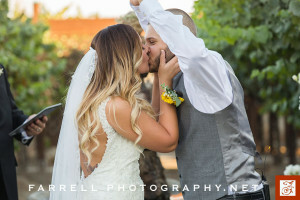 We work with our couples ahead of time to figure out the best lighting for your ceremony, so that you can look back on your special moment and LOVE your photos. 5 Sealed with a KISS! That is such a special moment in the ceremony. Your First Kiss. 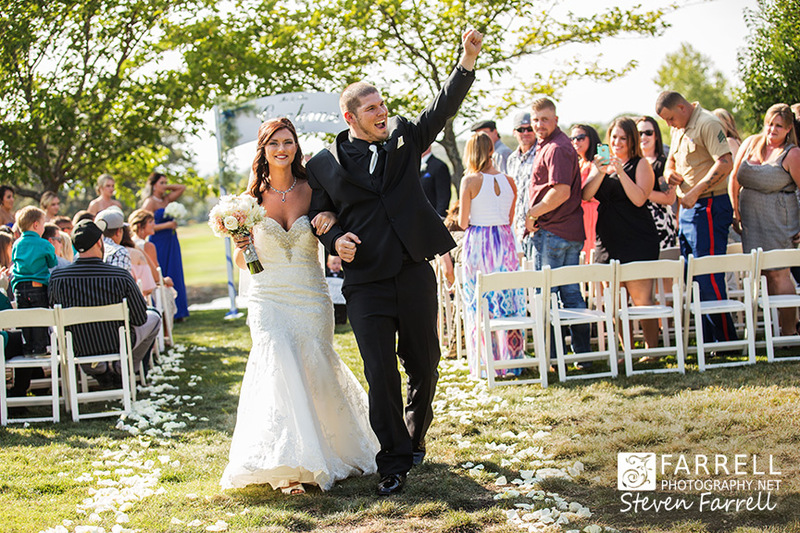 And, it’s one of our favorite moments to capture with photography. We always ask the officiant to step aside when he invites the groom to kiss the bride. It makes for a much better photo. The Ceremony over, time to celebrate!!! 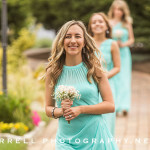 For more wedding day photography, follow our blog at www.farrellphotography.net and sign up for our newsletter.